The AlcoSense Pro Breathalyser aka the AL6000 Pro) was the first semiconductor breathalyser certified to Australian Standard AS3547. The AlcoSense Pro Breathalyser aka the AL6000 Pro) was the first semiconductor breathalyser certified to Australian Standard AS3547. It uses advanced semiconductor technology that is accurate and cost-effective. The AlcoSense Pro can be operated in two modes. Normal mode measures a specific blood alcohol concentration. Alternatively it can be used as an alcohol responder (shared between multiple people) to test the presence of alcohol. An Automatic counter shows the number of times the unit has been used, and advanced error check technology also ensures accurate results with every use. Industrial grade semiconductor sensor tested to Australian Standards. Provides accurate readings for personal and professional testing. Tested and certified to Australian Standards AS3547. Registered CE approval, DOT approval and FDA approval. 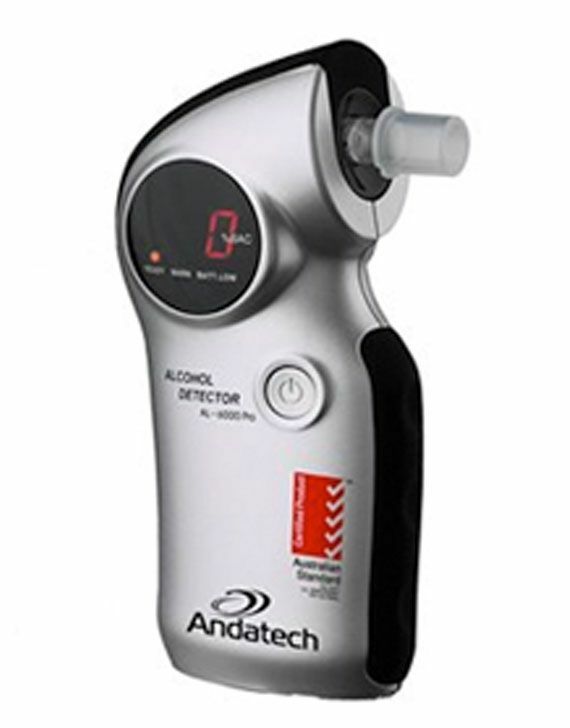 Compact, reliable and easy to use, the AlcoSense Pro is our customers’ preferred choice of personal breathalyser. Simply blowing into the unit at a distance to check for the presence of alcohol allows the Pro to be shared between multiple people without the use of mouthpieces for faster results.